Salam. I have made mention elsewhere on this blog of the wonderful commentary dealing with the Shamail called ‘Muntaha al-Sul’. We came to know of the work when we attended a reading of it in the school of Sh. Muhammad Alawi al-Maliki (Allah have mercy on him). Indeed the author (Sh. Al-Lahji) was one of the teachers of Sh. Muhammad, and also taught in sacred Haram in Makkah for some time. After the lesson I promptly purchased a copy of the 4 volume work. With regards to the information I would like to share below, I first came to know of the companion Ka’b bin Zuhayr (Allah be pleased with him) and his poem (also known as the burda) whilst I was studying for a couple of weeks in a small Turkish village in the area of Samsun, close to the black sea. I was pleasantly surprised when I first heard of the story from Sh. Ihsan Senocak, and when mentioning it to others they also expressed the same sentiments. [Note: If I recall correctly Ustadh Dean al-Nahwi first pointed out the poem ‘Banat Suad’ to me, when I asked Sh. Ihsan about it did he mentioned the whole context of the poem]. The Messenger of Allah (Allah bless Him and give Him peace) placed his cloak (burda) that He was wearing on him. Therefore the people of knowledge have said: this poem is the one which is deserving of being called ‘al-Burda’ because al-Mustafa (Allah bless Him and give Him peace) gave Ka’b His blessed cloak. As for the poem of al-Busairi, it is deserving of being called ‘al-Bara’ah’ because he was afflicted with a stroke, and was half paralysed such that the doctors could find no cure for him. When he composed the poem he saw al-Mustafa (Allah bless Him and give Him peace) who wiped over him with His hand, such that he was immediately cured. Muawiyah (Allah be pleased with him) offered Ka’b 10,000 dirhams for this cloak. He (Ka’b) said: I would not give anyone preference over a cloth of the Messenger of Allah (Allah bless Him and give Him peace). When Ka’b died Muawiyah offered his inheritors 20,000 dirhams and purchased it from them. It is the cloak which is in the posession of the Sultan’s till this day. And it is said: It is the one that the Khulafa wore on Eid’s. Al-Shami said: It no longer exists, as it is clear that it was lost during the incident of the Tatars. 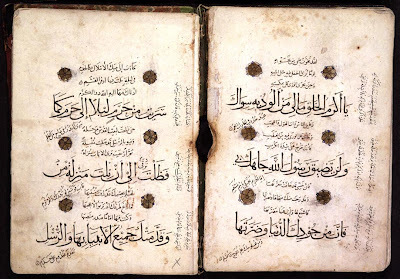 Al-Zarqani said in ‘Sharh al-Mawahib’: Al-Yamari has collated His poets who praised Him with poetry from the men and women companions, he reached close to 200 (in number).